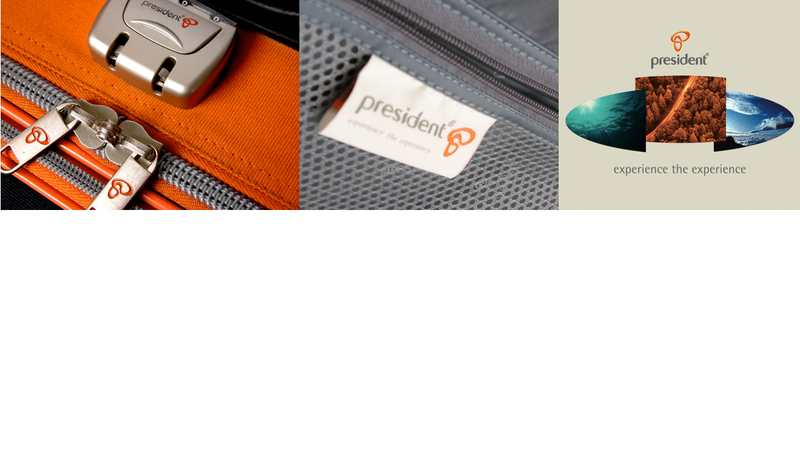 REBRANDING A REGIONAL, HERITAGE TRAVELERS’ LUGGAGE AND SUITCASE BRAND BY REVITALIZING ITS BRAND IDENTITY THAT TRANSCENDS "EXPERIENCE THE EXPERIENCE" CENTRAL IDEA THROUGH THE INFINITE P-BRAND IDENTITY. Strengthening its position as a regional player, President revitalizes its brand identity to express the business’s new strategic objectives. MakkiMakki creates the infinite P brand identity that transcends its “experience the experience” central idea and translates it across wide range applications including designing the brand’s retail shop ambiance using “land, sea and air” travel experience as its theme.